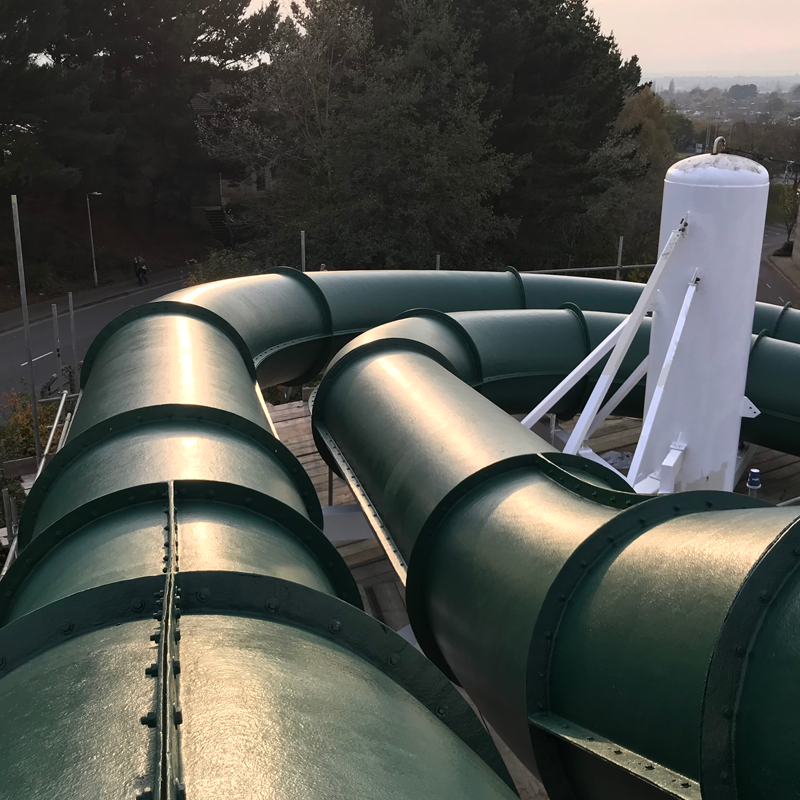 Decorative work has completed on the flumes outside at Splashdown Poole. 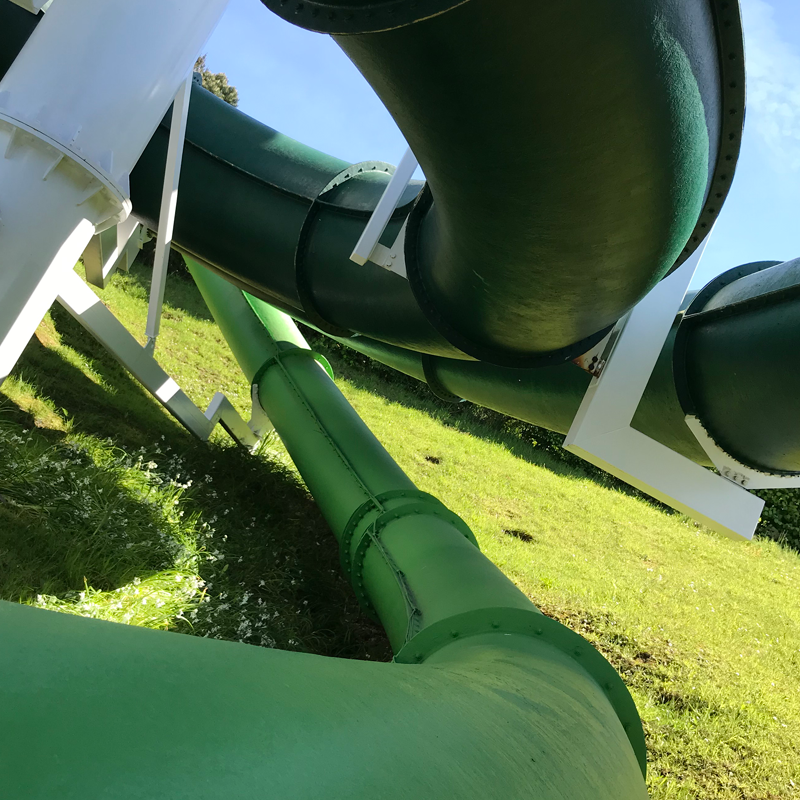 Splashdown’s maintenance team has finished a winter long project to paint all our rides which go outside, and even if we say so ourselves its does look fantastic! 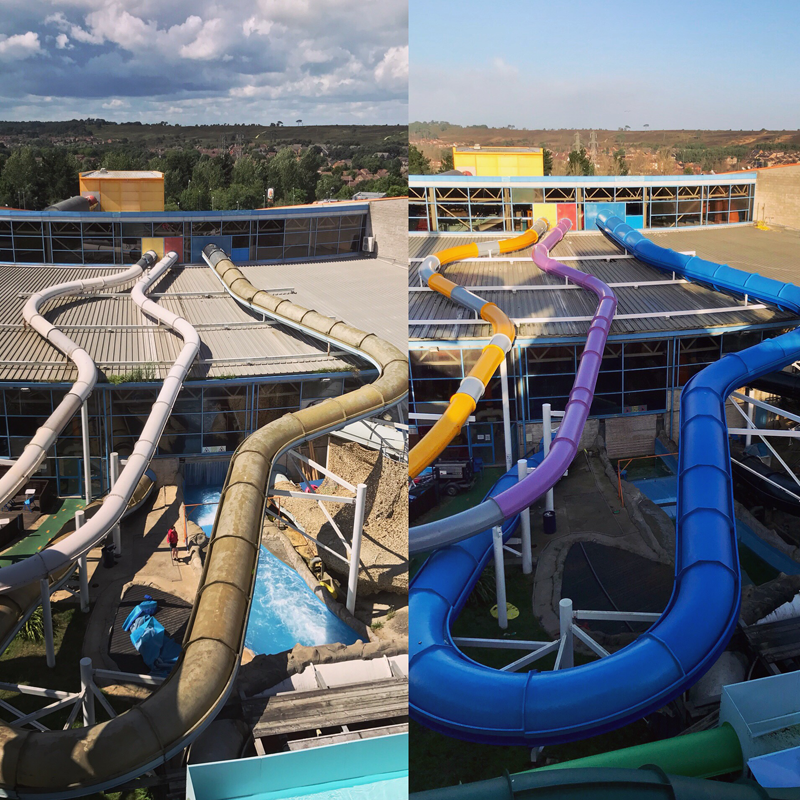 Group Marketing Director Jackie Richmond says ‘This was a massive undertaking and we couldn’t be more proud of our waterpark maintenance team. 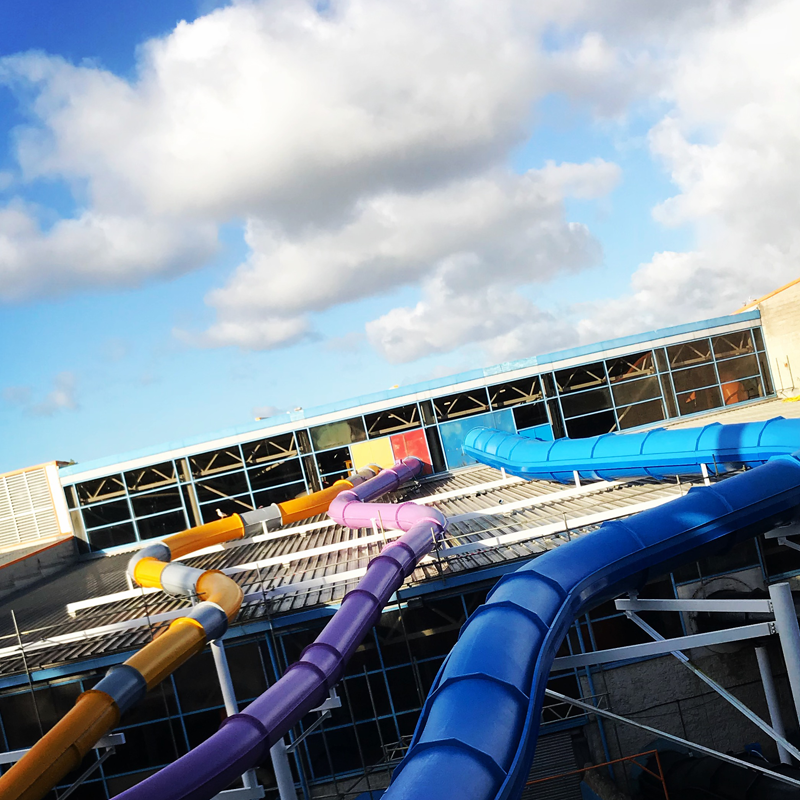 We’re so happy with the end result, it looks so bright and colourful. 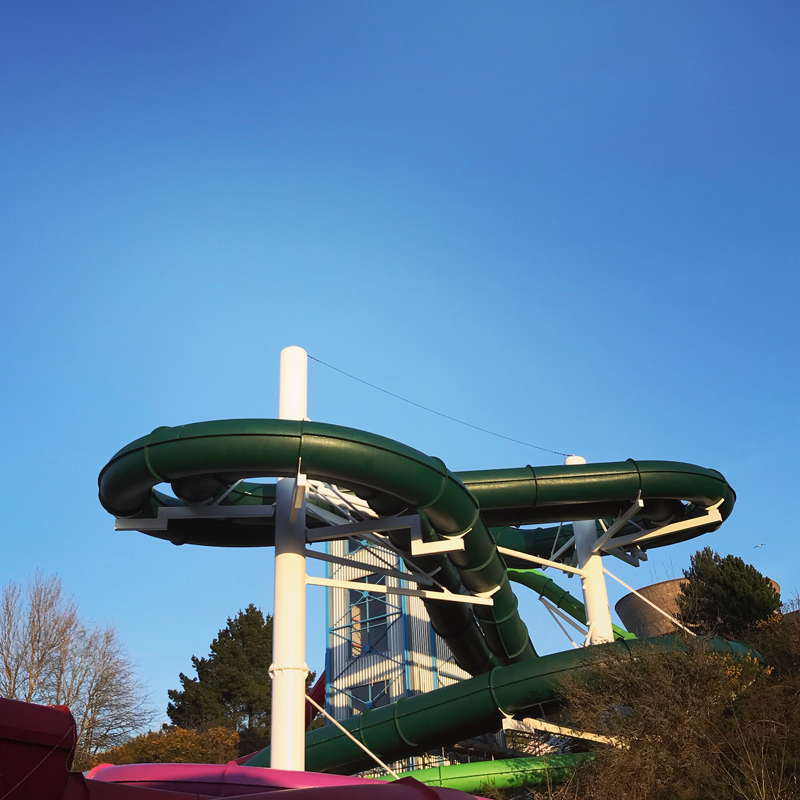 We hope it has a positive impact on our customers experience when visiting Splashdown Poole. Take a look at the gallery below to see the slides in all their glory.